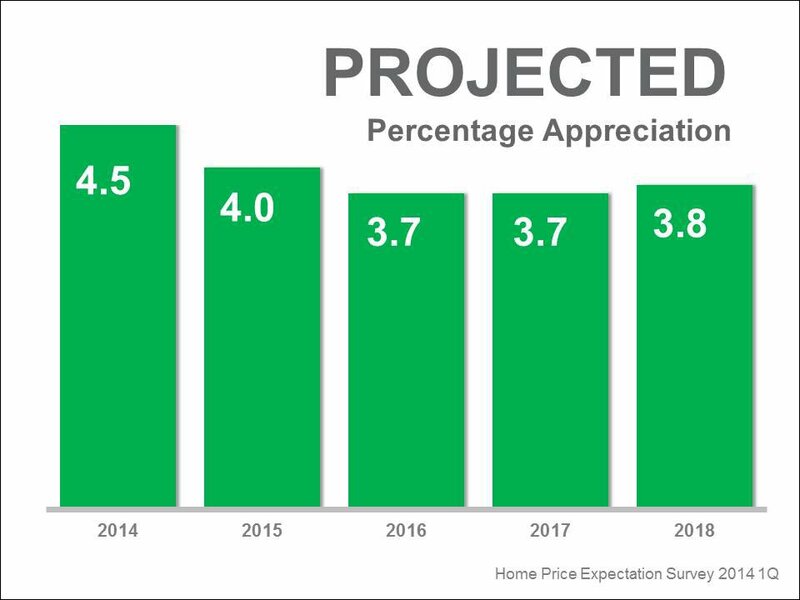 Cumulative House Appreciation 2014-2018. 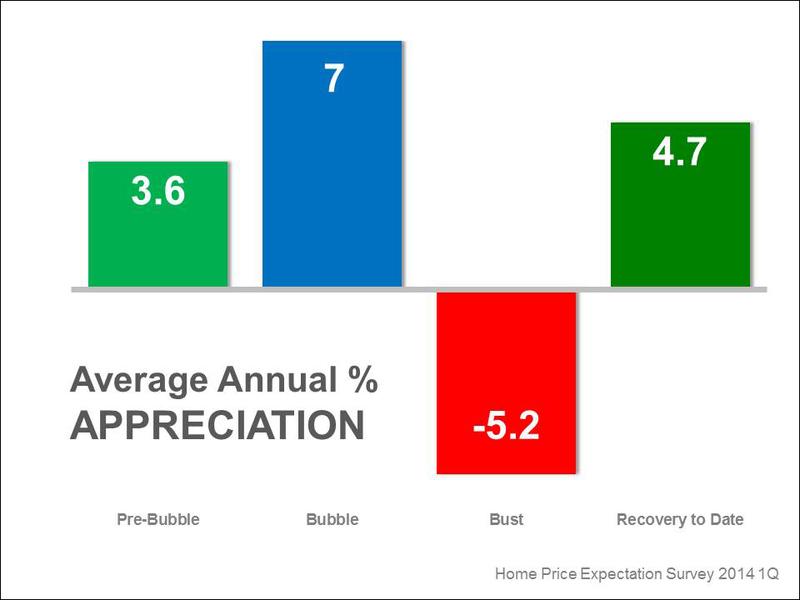 The Home Price Expectation Survey 2014 1st Quarter was released last week by Pulsenomics. 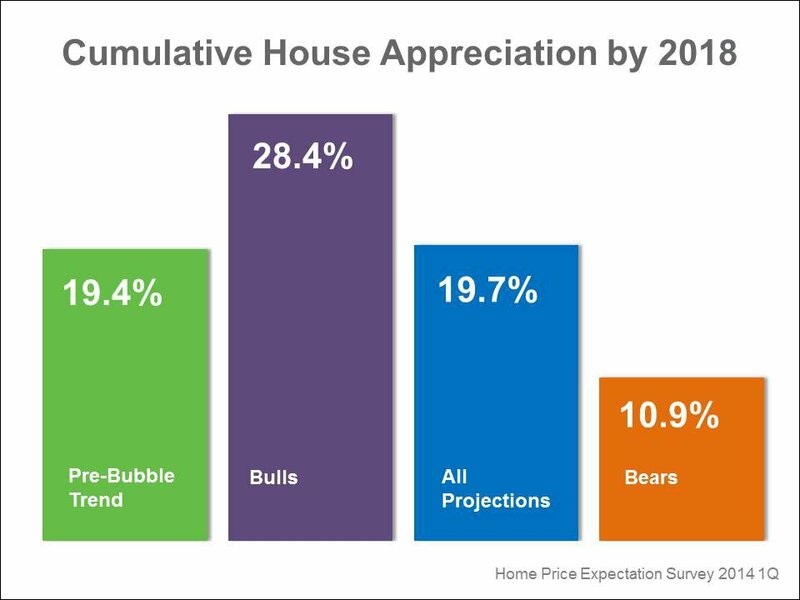 Pulsenomics surveys over one hundred economists, real estate experts and investment & market strategists asking them to project home prices. This includes three graphs for the national scene, projecting the highest this year and slightly lower the following four years.